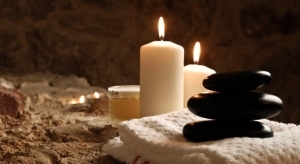 Creating a Medical Spa Facility - Spa Advisors, Inc.
Why Hire a Spa Consultant? If the current trend towards medical spas interests you, there are a variety of ways to approach a new business in this competitive arena. While many medical spa franchises tout easy, turnkey set up and high profit margins, the reality is often far from what is promised. Spa Advisors believes that teaming up with experienced medical professionals to create unique medical spa facilities is the best way to stay ahead of the competition. Medical spas are highly specialized business models with a myriad of distinctive design, staffing, and legal parameters. For example, “Location, location, location”, is the key to the well-placed, high-traffic area day spa. On the other hand, a medical spa, from which many clients emerge without their makeup or “just-coiffed” looks, may be better suited to a more discreet, yet easily accessible locale. Do you need to hire a physician? Or can you get by with a “physician-supervised” medical tech administering services? Why is a business plan an important first step in salon or spa development?